Tucked away in the lush gardens of the Yucatan, Chablé Resort & Spa is a place where nature can be enjoyed to the fullest. A spa built around a natural cenote, a restaurant featuring organic and seasonal cuisine and the opportunity to experience an authentic Temazcal ceremony, the hotel is an enticing combination of shamanism meets luxury. The perfect abode for travellers in search of true serenity, Chablé Resort has established itself (quite rightly) as one of Mexico’s most exquisite spa retreats. Boasting 38 pristine casitas and two lavish villas, check in, switch off and relax. Located in the tiny town of Chicola in the Yucatan Peninsula and just 30-minutes drive from Merida Airport, Chablé Resort boasts the perfect location for venturing out to discover the Ancient Maya World. Immerse yourself in the magic and mystery of the Mayan ruins at Chichen Itza and Uxmal, before strolling along the white sand beaches of Celestun, alongside flocks of flamboyant flamingos. 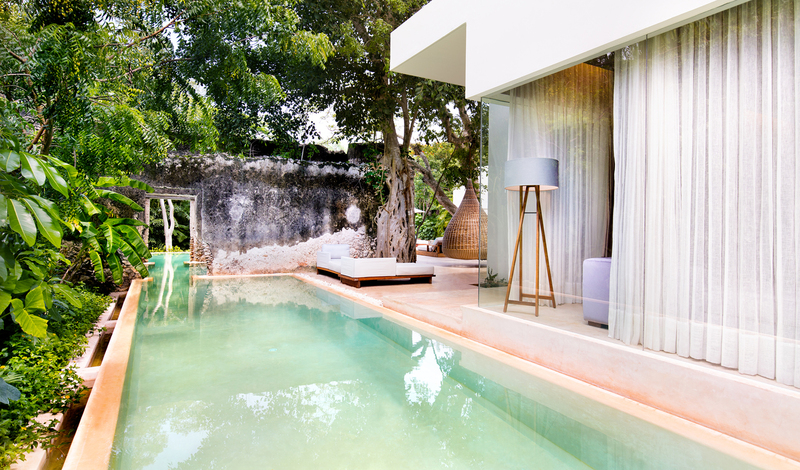 Built around the framework of the original 19th-century hacienda, the 38 chic casitas and two vibrant villas have all been brought into the 21st-century with modern touches, such as iPad controllers, whilst traditional Mayan architecture pays testament to the hacienda’s rich heritage. In the spirit of ‘a room with a view’, all of the rooms here feature floor-to-ceiling windows which open up onto tropical views of the gardens, which when combined with their secluded setting, makes for a seriously peaceful jungle retreat. Inspired by and created for nature-loving spa enthusiasts, Chablé Resort & Spa is the ideal destination for travellers in search of tranquillity and rejuvenation. True to its spa-loving roots, the spa here is in a league of its own. Centering around a natural cenote, the spa seeks to redefine wellness through a blend of ancient mysticism and modern methods. Indulge in a pampering massage in one of the 12 modernist treatment rooms or find a sense of peace in a morning yoga or pilates class. 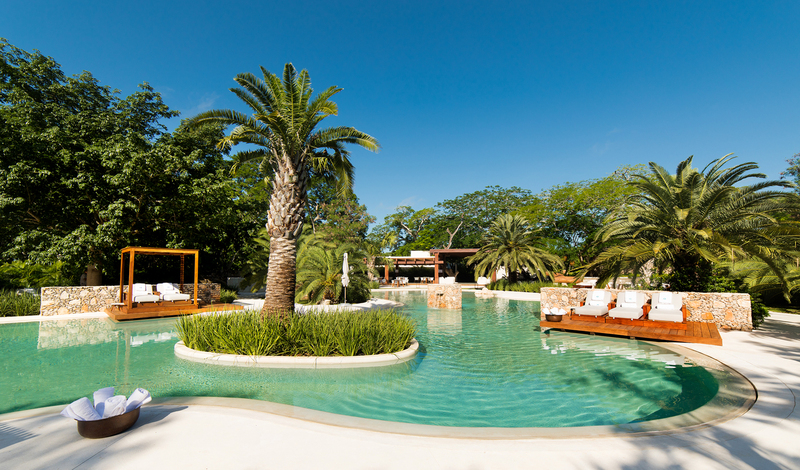 Chablé Resort & Spa is a true retreat in every sense of the word and the perfect place for a touch of relaxation and replenishment.